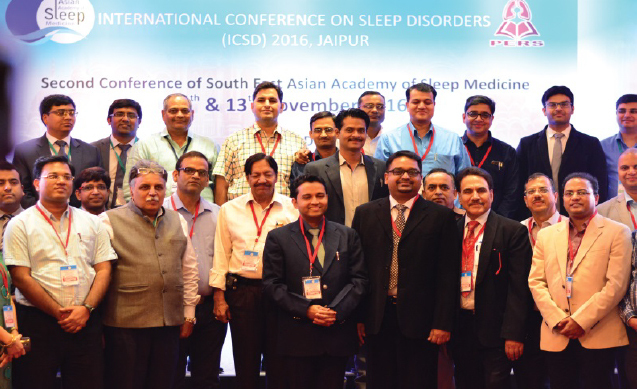 The Second Conference of South East Asian Academy of Sleep Medicine received an overwhelming response on 12th and 13th November in Jaipur. 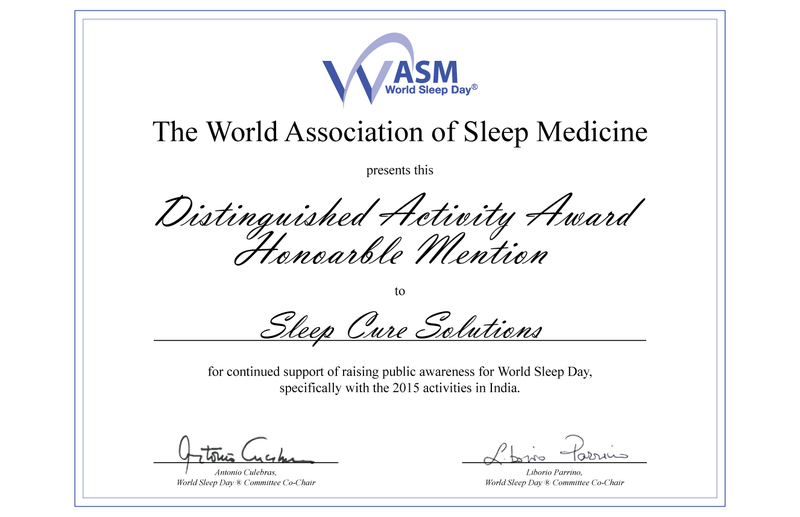 It provided participants with unmatched opportunities to exchange scientific ideas and experiences in sleep medicine. 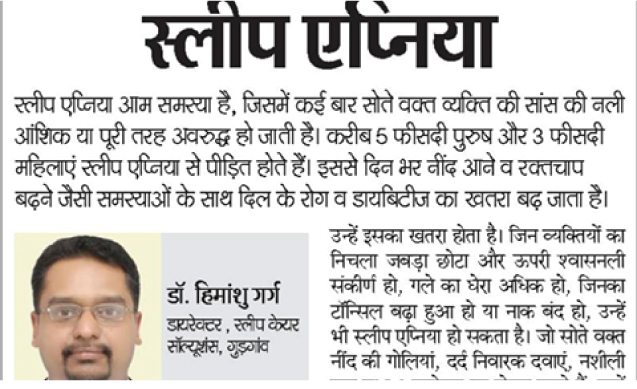 The event was organized by the Pulmonary Education & Research Society (PERS), #Jaipur under the able leadership of Dr. Himanshu Garg and Dr. Shubranshu. 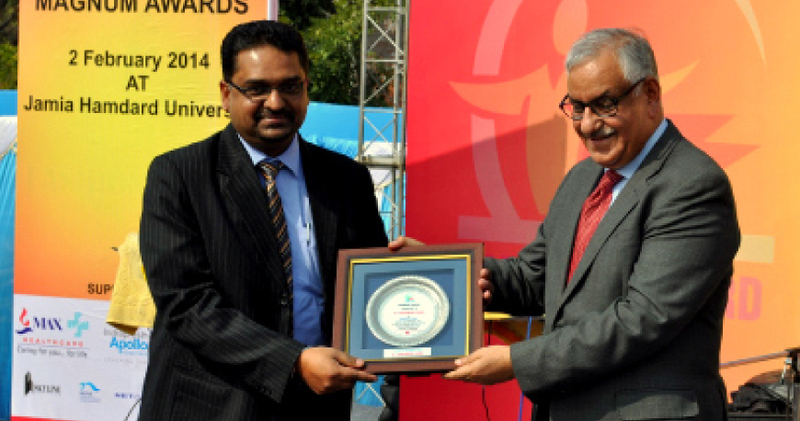 We look forward to host you all again for yet another academic feast next year at Jalandhar. 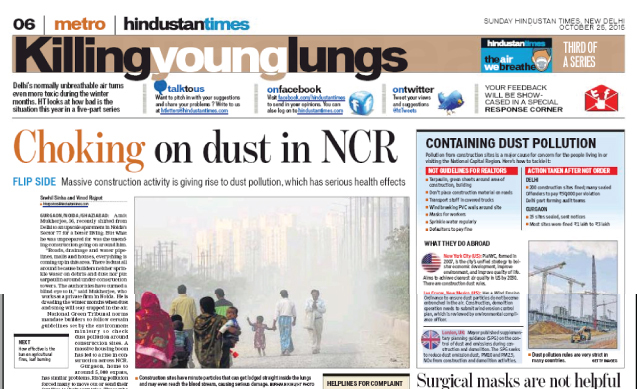 GURGAON: With Diwali just days away, a group of pulmonologists has scheduled a free camp for senior government officers to conduct lung function tests on them and make them aware of the importance of respiratory health. 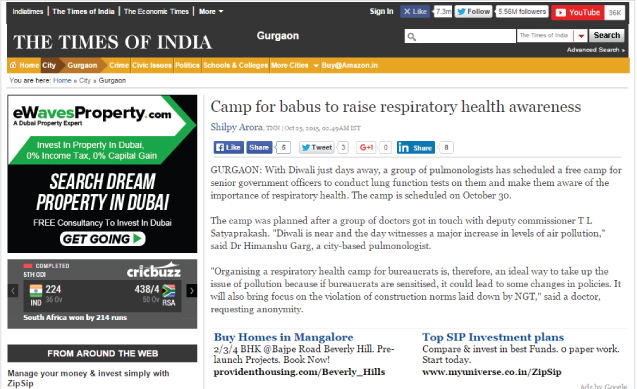 The camp is scheduled on October 30. 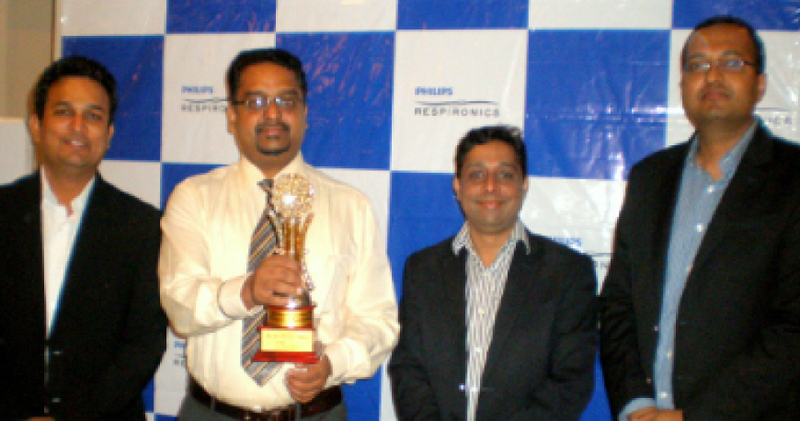 Our Respiratory and Sleep Specialist Dr Himanshu Garg was invited as an eminent faculty for the unique workshop conducted by Department of Pulmonary Medicine and Department of Critical Care Medicine, SDM Hospital on “Non Invasive Ventilation” (NIV) on 2nd August 2015. The event was a structured course on NIV Management and covered various issues related to NIV Management with review of current management strategies and controversies. 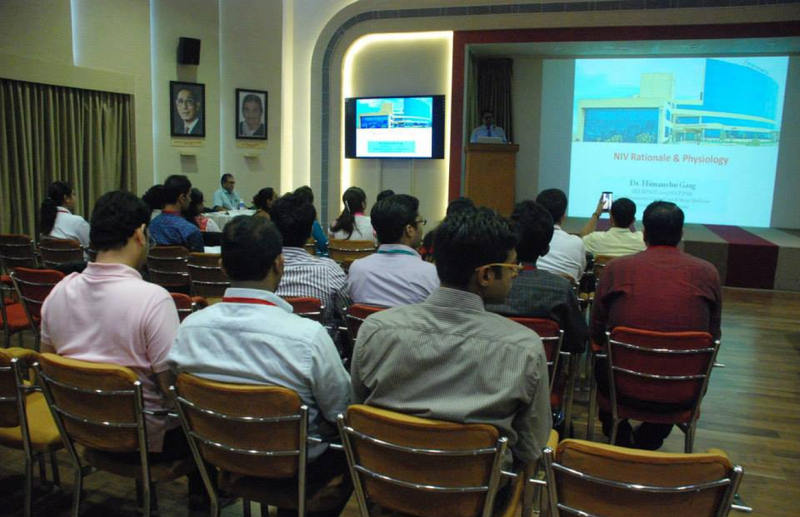 The session was attended by 150 delegates. 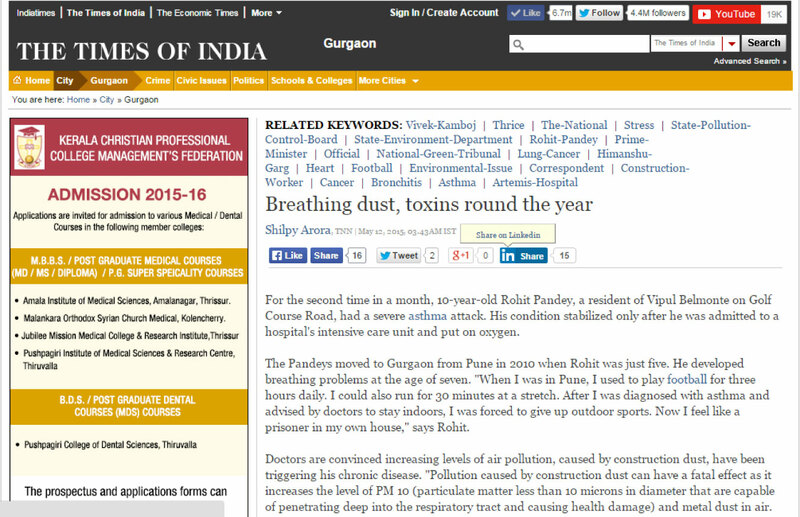 For the second time in a month, 10-year-old Rohit Pandey, a resident of Vipul Belmonte on Golf Course Road, had a severe asthma attack. 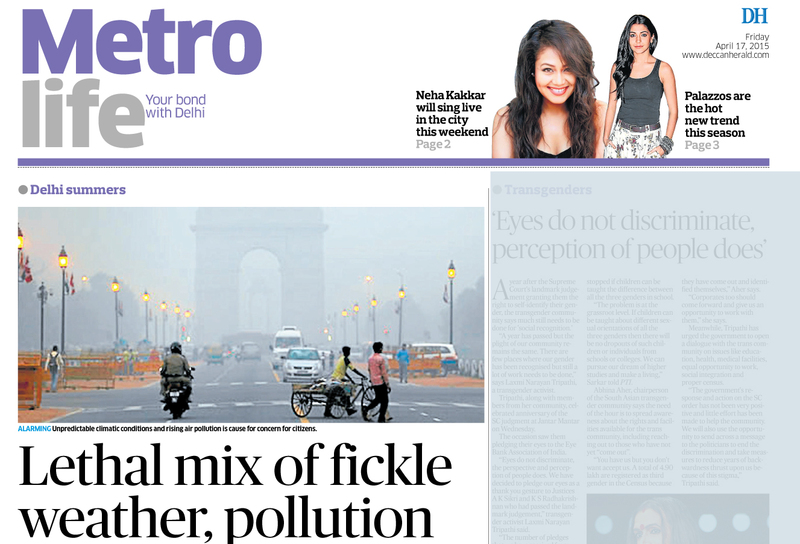 His condition stabilized only after he was admitted to a hospital's intensive care unit and put on oxygen. 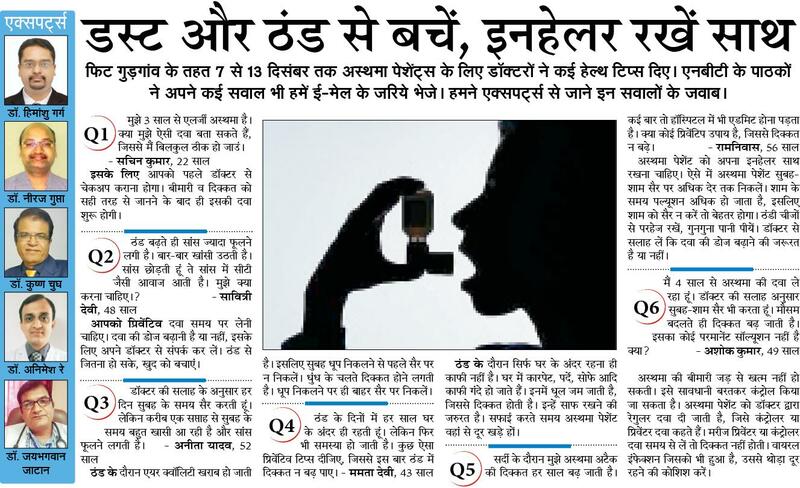 Ayurveda and Sleep Medicine on 7th Nov.
Department of AYUSH, Ministry of Health & FW, Government of India in collaboration with Govt. 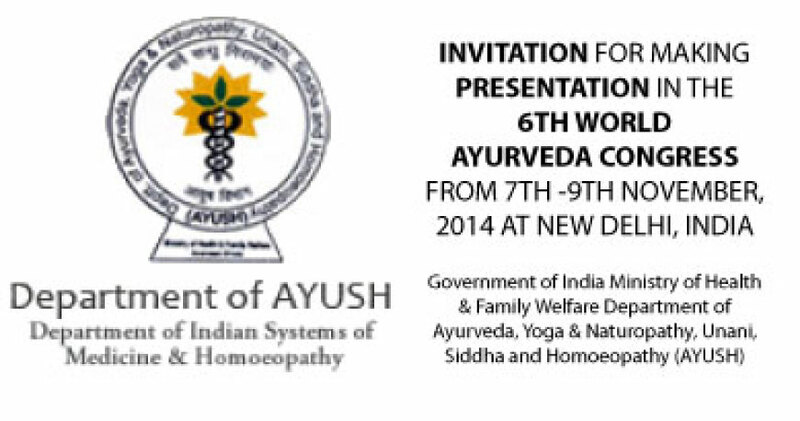 of NCT of Delhi, World Ayurveda Foundation and others is organizing 6th World Ayurveda Congress on 7th -9th Nov. 2014 at Pragati Maidan New Delhi. 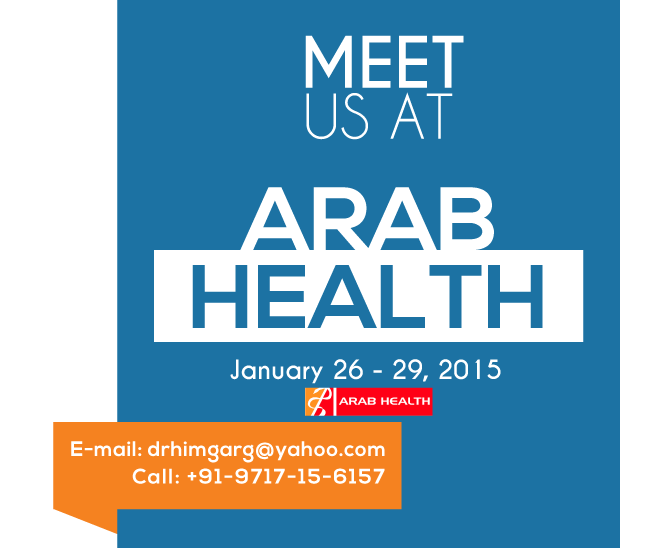 Gurgaon speaking on Asthma and how to prevent it.